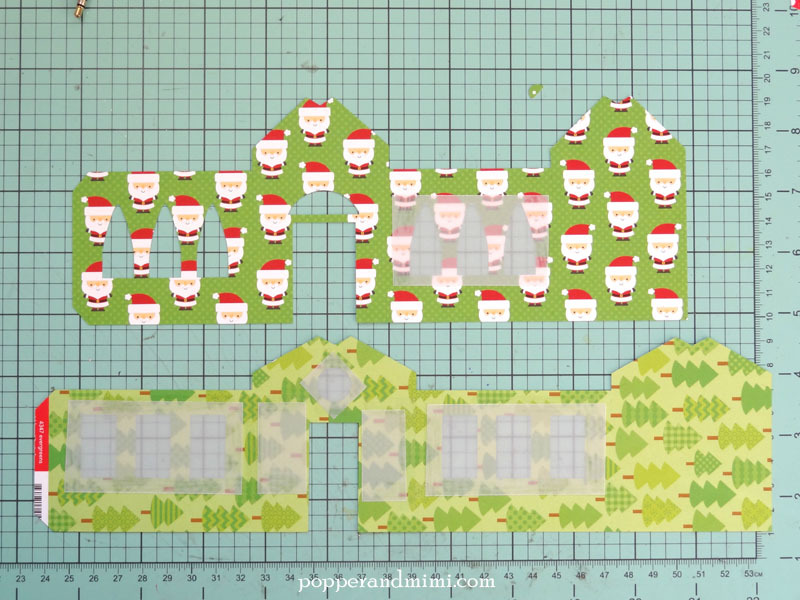 Although Halloween is just around the corner, I can't help but dig into my Christmas papers and supplies and start creating projects for Christmas. Amanda here today with a super cute project that you can make to dress up a holiday mantel, table, or even use as a centerpiece. 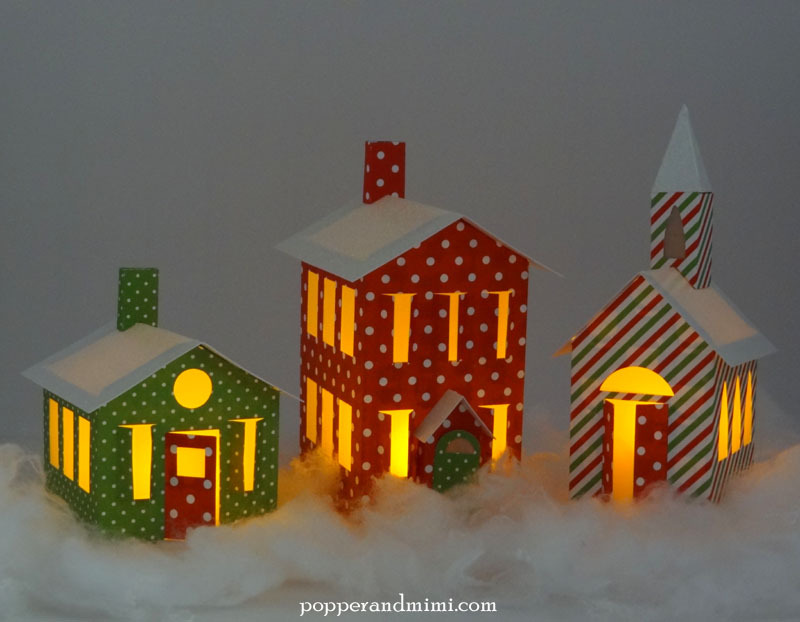 The best part of these houses is that they can each be lit with a single battery operated tea light. The houses look great lit during the day, but look especially stunning at night. The addition of vellum to the windows softens the glow and makes the houses look warm and inviting. The short green house is my favorite. 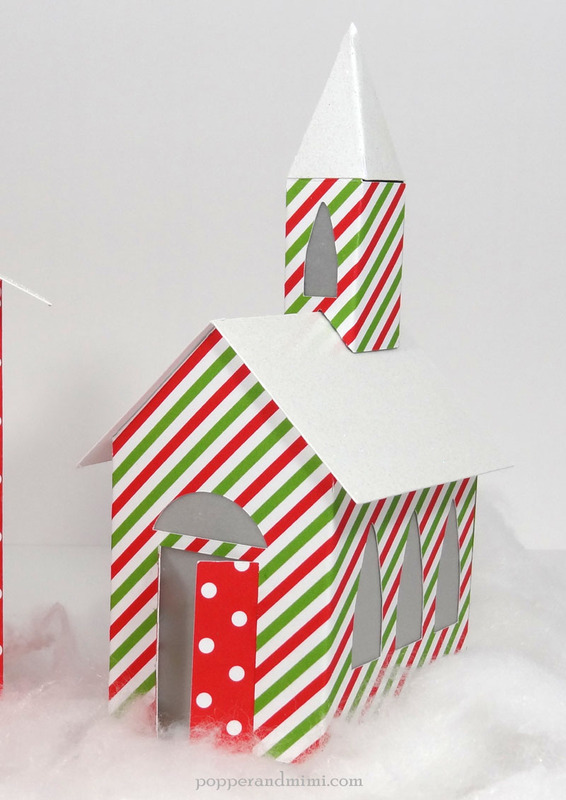 I die cut each roof from sugar coated cardstock to make them look as though they were covered with a fresh layer of snow. Each building has a contrasting door. Although I was tempted, I refrained from adding too many extra details to the houses so they wouldn't distract from the glowing lights. The stripey church looks so inviting! I also added vellum inside the doorways of the houses so the tea lights would be well disguised. 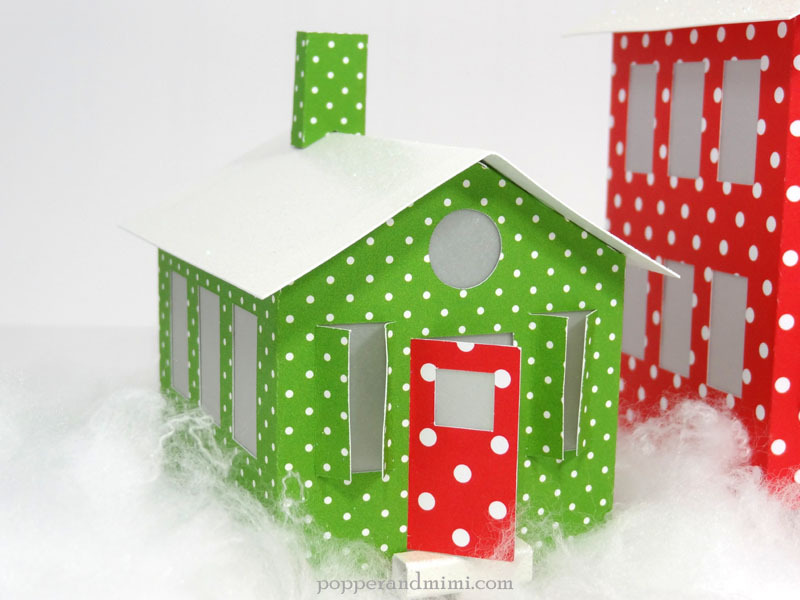 You can easily turn these little houses into a play set (like this one) by leaving the vellum out of the doors. Add vellum inside the windows and doors before you fold and assemble the houses. Cut pieces of vellum so they overlap the windows about 1/4" on each side and adhere with a tape runner. The houses look bright and cheery when lit during the day. 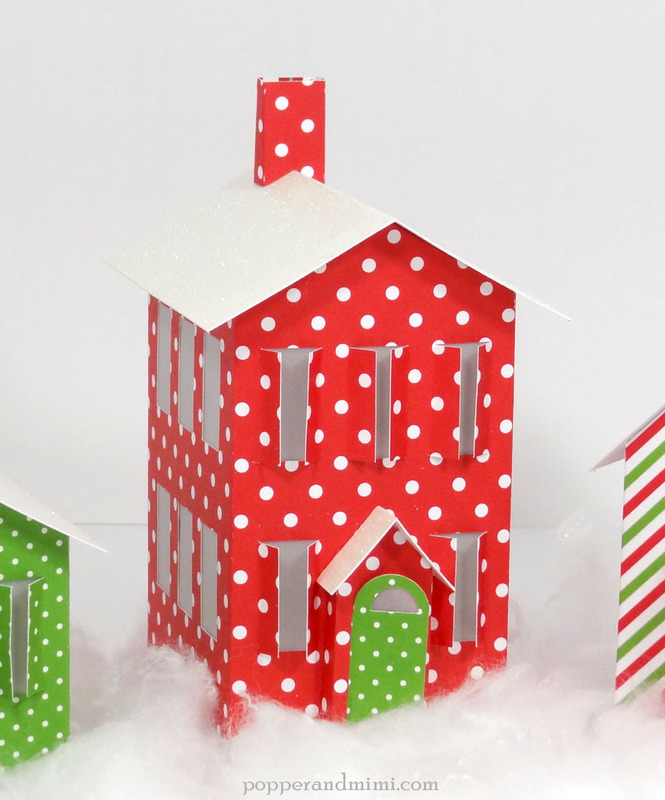 Create more houses in a variety of colors to create a larger winter village. Add trees, critters, and a backdrop to add more drama to your scene. These are just so precious! The vellum idea for the windows is genius. These houses are way too cute. It's a great way to start my own village! I pinned them to my "Christmas and winter paper craft" board on Pinterest. I shares this post on Facebook though the Doodlebug Facebook page! These are spectacular! I love the vellum windows with the lights! I definitely need to scrap lift this idea for a little display, love it so much! Love these!! And WOW!! Lit up they are fabulous!!! 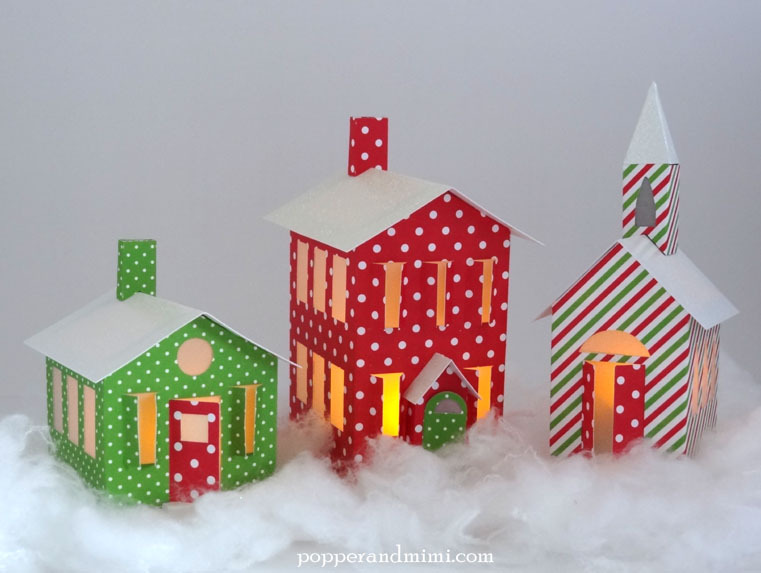 These houses create such a pretty winter scene. I like how you used a tealight to illuminate them. These village houses are so cute! I love that they light up. 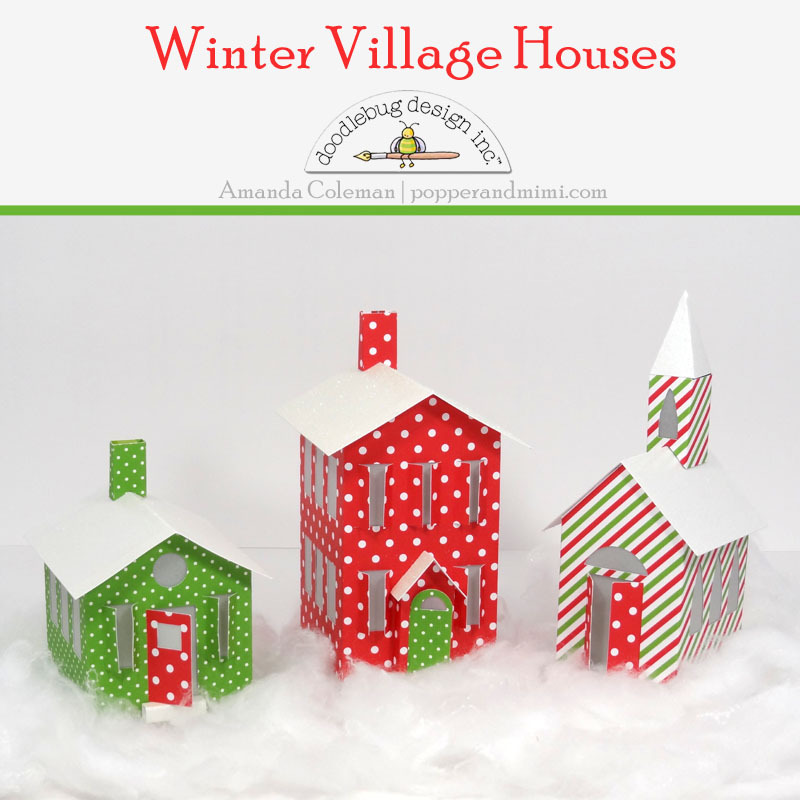 OMG Amanda your winter village buildings turned out so fabulous. WOW girl you did an amazing outstanding creative job!! Love all the cardstocks you chose absolutely so perfect. You really outdid yourself and thanks for the great pics and ideas. YOU so ROCK!! I want to put a set of these on my mantel! They will brighten the whole room. Thank you for the happy inspiration and tutorial. Look at this complete and total cool project!! Love it so much!! She makes it look so very easy too!! Amanda is amazing!! Love seeing her stuff!! I shared this coolness on facebook!! The vellum windows are SO COOL!!! Ooooh these are so cute!! I love this little village! !